The "Marconiphone company Ltd.," and "The Gramophone Company Ltd.," (Trading as "HIS Master's Voice"), merged along with the British arm of the "Columbia Graphophone company Ltd.," in 1931 to form the "Electric and Musical Industries (Ltd)" Better known as :- "EMI". 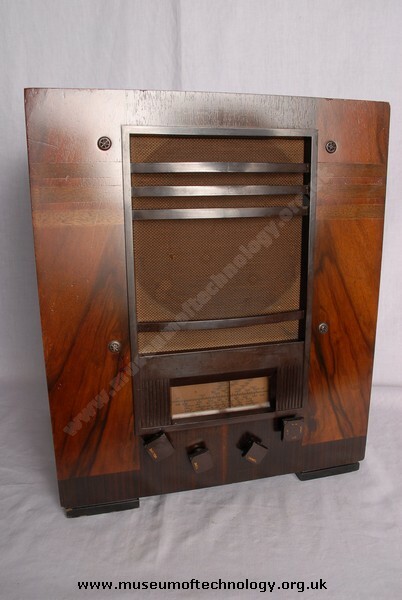 So any equipment made after this date was simply a product of 'EMI' and made by "The Gramophone Company Ltd., Hayes Middlesex". And 'Badged' and 'Boxed' accordingly.